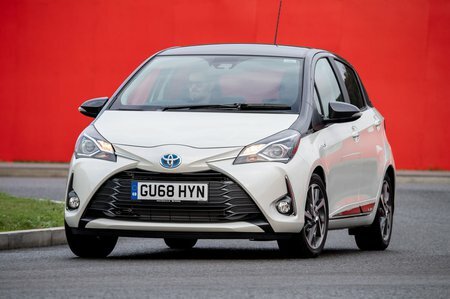 Toyota Yaris GR-Sport Review and Deals 2019 | What Car? It might look sporty with 17in wheels, stiffer suspension, black accents, a sports steering wheel and sports seats, but there’s no more power under the bonnet. Too stiff and too expensive to recommend.